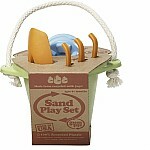 Kids will dig building castles and hunting for buried treasure with the environmentally friendly Sand Play Set from Green Toys. 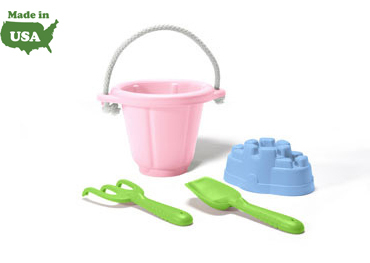 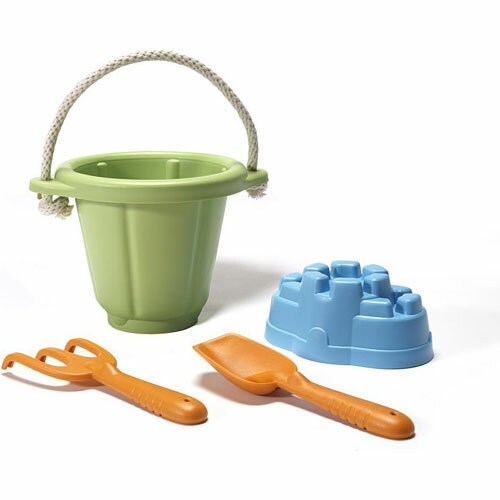 Made of recycled plastic, this classic 4-piece collection of tools consists of a Bucket, a Sand Castle Mold, a Shovel and a Rake. 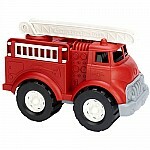 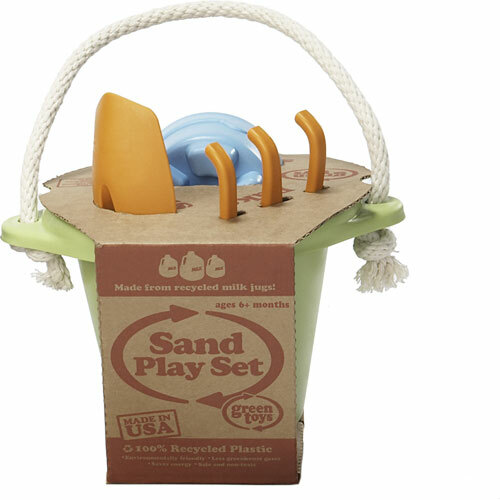 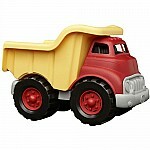 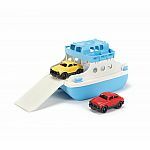 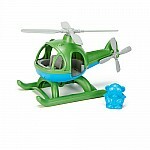 The Green Toys Sand Play Set is made in the USA from 100 recycled plastic milk containers that save energy and reduce greenhouse gas emissions, all in the name of Good Green Fun. 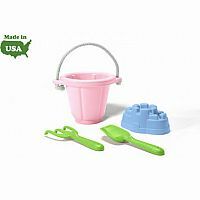 Measures approximately: 8.00 x 9.00 x 10.00 inches..